Back-to-school and back-to-Book Club! September’s gathering is always a really fun evening and this months was no exception. We were a balanced group of eight, which worked out nicely during appetizers and cocktails when we all seemed to pair off and have some good one-to-one conversations. I still feel like I barely got to catch up with everyone. Claudia made Ina Garten’s Penne with Five Cheeses with a huge green salad and crunchy bread. It was the perfect easy to eat meal on one of our first chilly evenings. After dinner we started discussing the book we chose for September, The Silver Star: A Novel by Jeanette Walls. I had high hopes for this book because I loved Jeanette Walls book The Glass Castle: A Memoir . Unfortunately it did not turn out as I had hoped. For me, The Silver Star started slowly, picking up steam and then fizzled. I have to say it is one of the first times in a very long time that in the middle of reading the book, I read the ending. I did go back, skimming and skipping along until I finished. It did not hold my attention and I found it a mediocre read. Several others in our group joined me in this opinion, while others enjoyed the book and thought it was a perfect, easy read but were disappointed at the ending. Not to be brought down by our lack luster discussion, dessert was a surprise birthday brownie, complete with candles, for the September Birthday Girls! Got to love this group! Nothing like a few candles to elevate the mood! 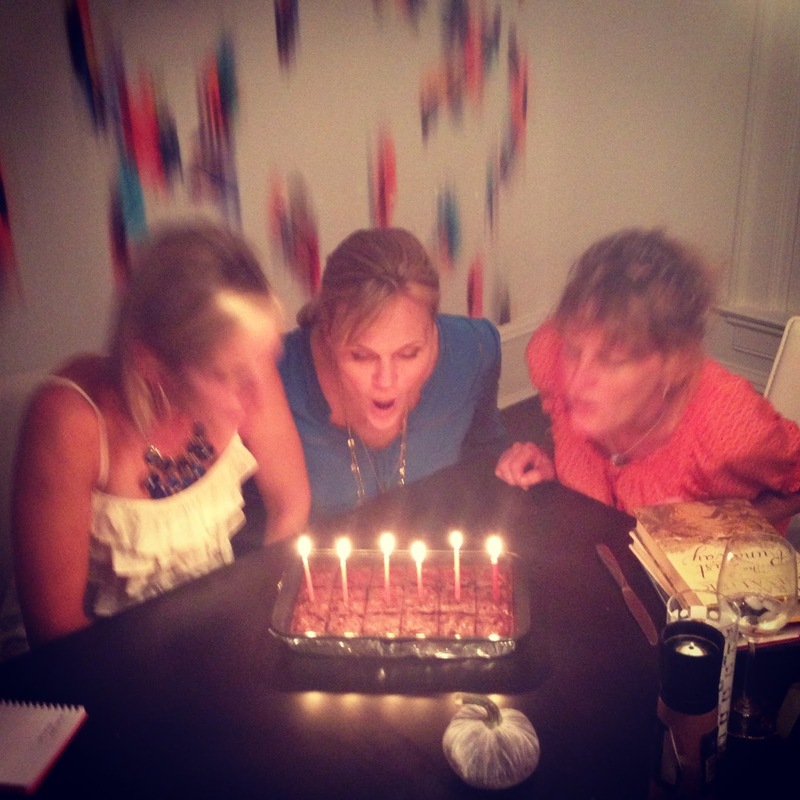 It really is fun to blow out candles and even more so with friends! Being that my birthday is on the cusp, I wish my fellow Virgos and Libras a very Happy Birthday! Previous Post: « Come Meet Harry! HAPPY BIRTHDAY? LOOKED LIKE FUN. 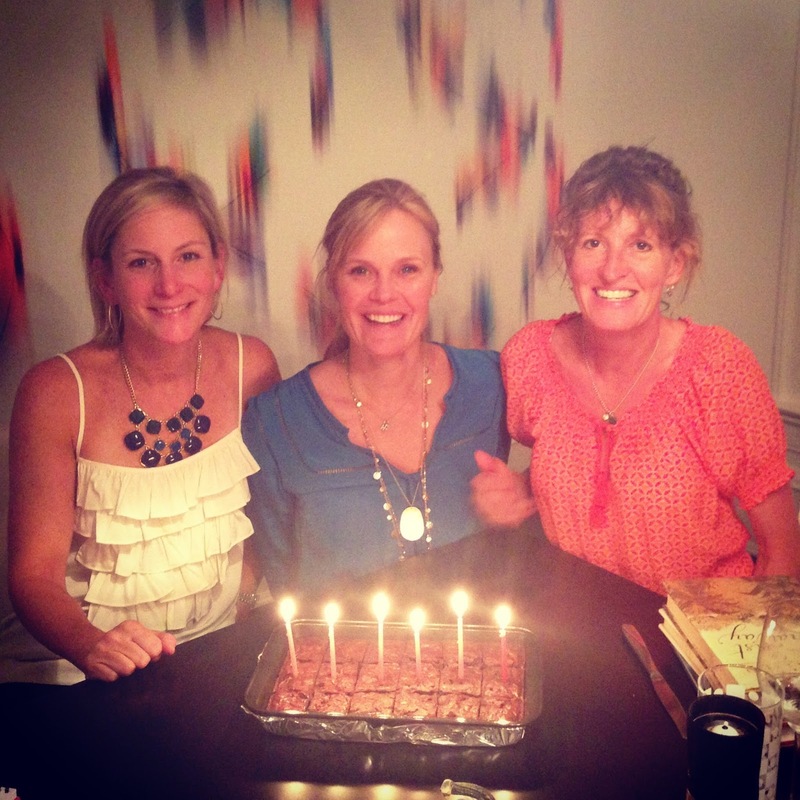 Thank you Lyn – yes I am the one in the middle – celebrating this month!